A small 30 cm model with four different colored liquids. 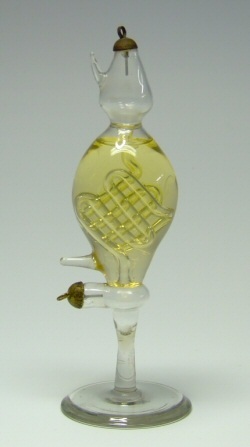 This small 15cm high tube from the beginning of the 20th century has a partly uranium glass waffle and filled with a liquid. Large 30 cm Geissler tube ca 1900. 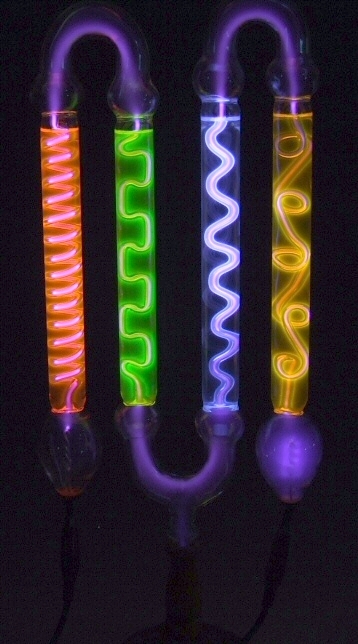 The tube can be filled with colored liquid, in this case Fluorescein. Geissler tube length 27cm filled with Rhodamine pink-red. Geissler tube length 27cm filled with Rhodamine orange. 20cm double trumpet tube with fluorescein liquid. A small 10cm Geissler tube with transparent fluorescent liquid in a second glass jacket. 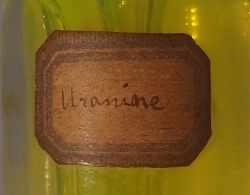 Tube filled with quinine solution for a bright Blue colour. 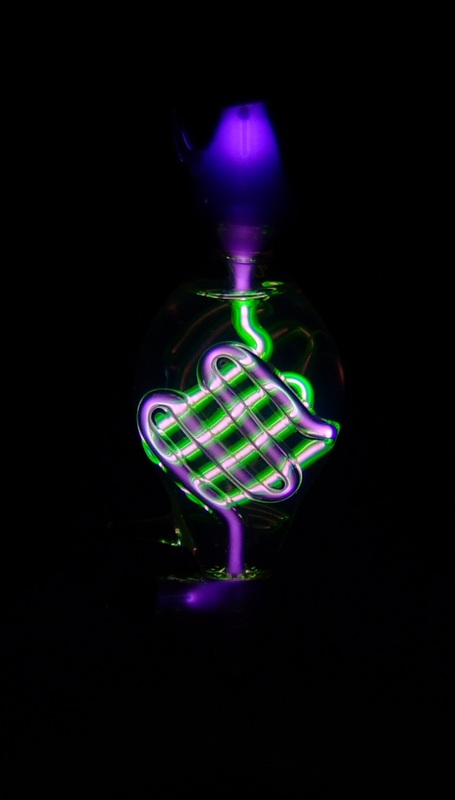 Close-up of the interior of a Geissler tube filled with a fluorescent liquid under influence of UV light. A restored 40cm tube filled with fluorescein producting the bright yellow colour. This is a very old 54 cm Geissler tube filled with aesculin fluid which fluorescences bright blue. Nice work of the glassblower, a knot in the inner tube. Nice 26cm Biloret&Mora Geissler tube. Biloret&Mora was a French company with shops in London and Paris. The are known for the their high quality tubes with destinctive caps.